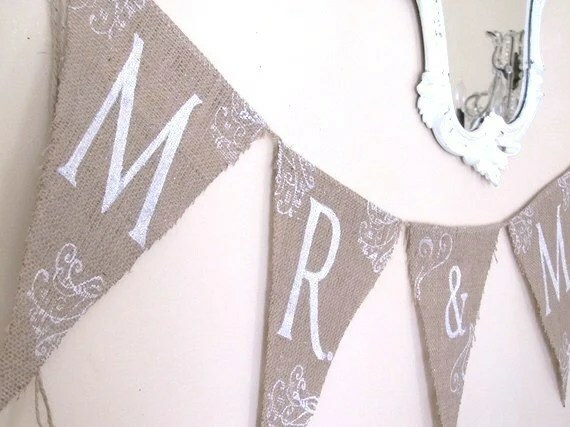 Bunting is very traditional, and many of you may be thinking ‘oh no!’, but, believe me, it can look gorgeous and works so well with a handmade wedding theme. £14.42 for a banner with 9 flags. 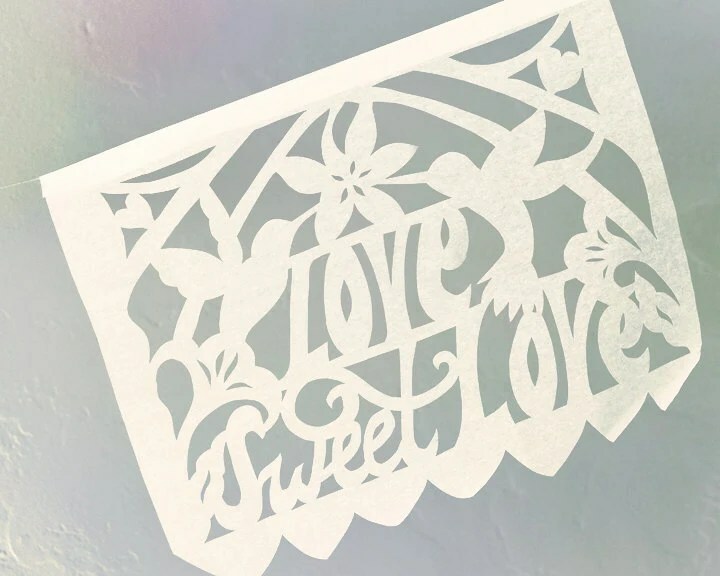 Beautiful, intricate and delicate. It reminds me of Rob Ryan’s work. £17.55 and measures 4.5 feet. The natural hessian is beautiful and I think would work well for a rustic, country-style wedding. 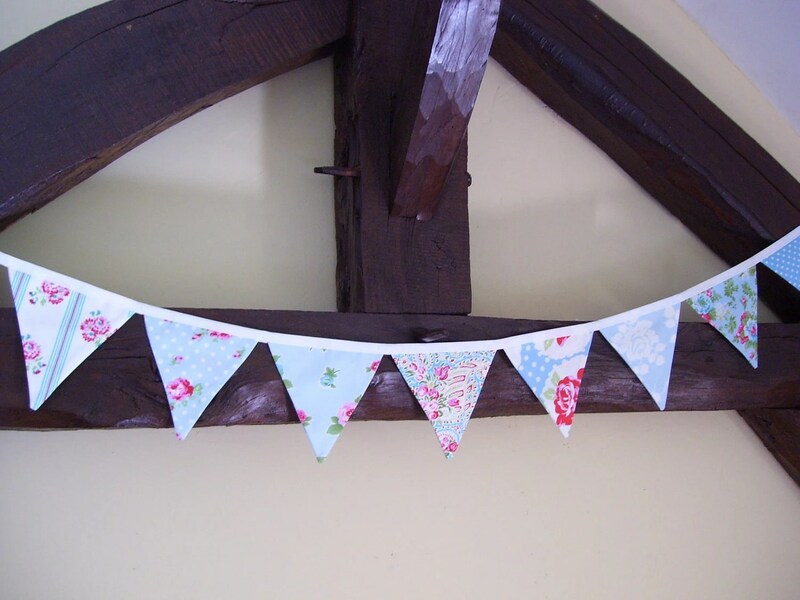 £15.05 for bunting stretching approximately 6 feet. Very light and bright, with a distinct handcrafted appeal. £5.96 for 10 feet. A bargain! £10.03 for 9 flags stretching 6ft 6in. Very cute and floral, reminding me of Cath Kidston prints. 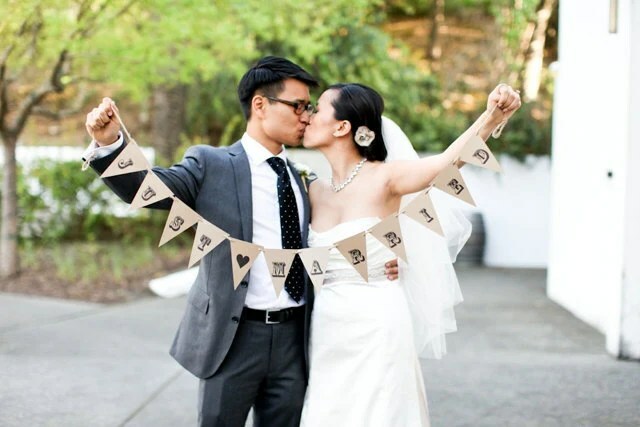 Thanks for featuring my banner on your blog! 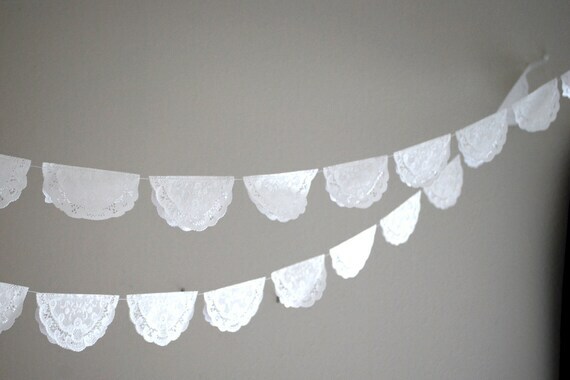 Love all of your picks, especially the Papel Picado banner… those always look so cute strung up during receptions. Cheers!